Two splendid examples of British automotive history - a magnificent and very rare 1963 Bentley Continental and a 1953 Aston Martin DB2/4 MkI that has covered less than 11,000 miles in 57 years - head the entry for Barons' October 26th sale at Sandown Park. 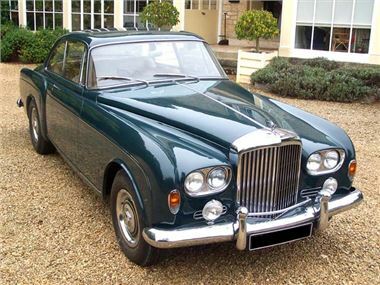 The 1963 Bentley Continental 2 Door Coupe by Mulliner is one of just eight examples built in right hand drive configuration, and one of only 11 built in total. The car has been in the care of just 3 owners from new and has an extensive history file - which includes a pre-purchase report prepared for a certain Mr Kingsley Riding-Felce of Aston Martin. It is now described as being in completely original and beautifully unmolested condition throughout and has covered a mere 3,000 miles in the last 15 years and a total warranted mileage of 91,000. This rare and stunning Bentley Continental offers the opportunity to acquire a motor car of great distinction and exclusivity, which also offers a unique driving experience, unmatched by any of its contemporaries. After the tremendous success of Barons' British Heritage Sale in September, which saw a ‘lost' ex-David Brown Aston Martin DBMkIII sell for over twice top estimate at £207,000, Barons has now secured another remarkable representative of this iconic English marque. 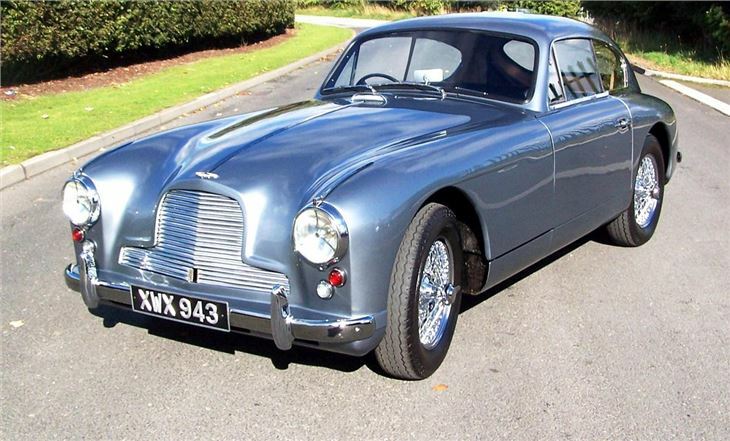 The beautiful 1953 DB2/4 MkI was bought new in 1953 by an elderly doctor. He used it very sparingly into the 1970s when he put it into storage in his garage. It then lay unused until 2002, when the current owner bought it and commenced restoration. It has covered less than 11,000 miles in 57 years, and has not been driven on the public roads for over three decades. The original engine still sounds superb, and the car is in superb structural condition. Other notable British entries for October 26th include a splendid 1953 Austin Healey 100-4 (£34000-37000), a concours-winning 1967 Jaguar E-Type S1 4.2 FHC (£55000-65000), four XK150s (two FHCs, two roadsters), a 1935 Rolls-Royce 20-25 Limousine by Thrupp & Maberly (£28500-33000), a 1934 Talbot 75 with Darracq Sports Saloon Coachwork (£34000-40000), a 1999 Ford (GTD) GT40 £37500-45000 and a charming 1979 Mini 1000 in 'as new' original condition, which has covered just 16,000 miles from new (£5500-£6500). International style includes a stunning 1969 Chevrolet Camaro 427 show car (£26000-29000), a very striking 1955 Oldsmobile 98-Rocket (£15000-£18000), plus a very rare and superbly presented 1967 Saab Sonett V4 (£10,000-12,000). With over 60 lots on offer there is something for every taste and budget; which is what Barons aims for at all of its sales.